I can't believe that my reign as an ADORNit It Girl is coming to a close. I didn't get to make NEARLY enough pretty things, so you'll probably still see me blogging with more ADORNit goodies, especially since I just scored this bit of fabulousness when I was on Amazon today. One of the things I loved most in my Swag Bag of Awesomeness were these plain MDF shapes. 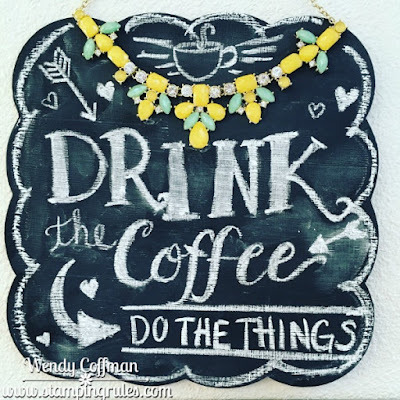 I made my own DIY Chalkboard Paint to make this lovely thing. You mix a couple big spoonfuls of cornstarch into plain old acrylic paint (of any color) and go to town with your foam brush. Let it dry completely between coats. I sanded mine with a fine sandpaper between coats, and put on a good four coats because apparently I'm an over-painter as well as an over-gluer. I used E-6000 to glue this gorgeous ADORNit necklace to my chalkboard as the hanger for my project. I love the idea of jewelry, but I don't often wear it, so this seemed a better solution than letting pretty things hang out all alone in my closet! Then I seasoned the chalkboard with a piece of chalk by rubbing a piece of my kids chalkboard chalk over the whole shebang before trying to hand letter this sign. You should buy the good chalk to letter a sign. Cheap dollar store chalk is not the most fun to work with, but I'm still please with my first attempt. I still love my sign, and plan to letter on new quotes when I buy me some better chalk! 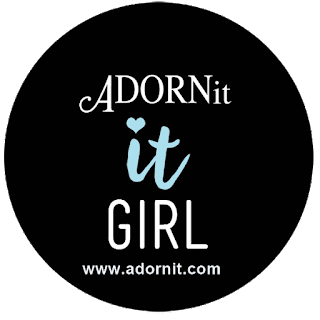 I have so enjoyed my time with ADORNit, and my swag bag of goodies too. I've made a ton of adorable projects, and a bunch of my CTMH peeps even went with me on a field trip to visit the Logan store and warehouse while we were in Utah last month. If you are ever in Utah, go - it's seriously more cuteness than any store should be allowed to carry. Perhaps applying to be an It Girl and then deciding to move two weeks later (and commencing trying to make said move a week later amid five weeks of the worst Portland snow I've evah experienced) wasn't the wisest idea, but it sure was a blast. 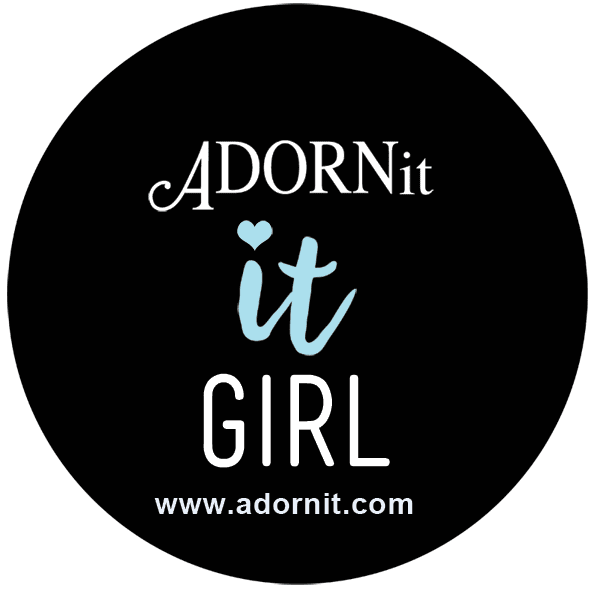 ADORNit is now taking applications for a new It Girl team, and I highly encourage you to apply. The necklace you’ve made looks really cute. Adornit sounds like a fun activity. Could you please post more details of what the program is about. This chalkboard looks really cool. This post really motivates me to make one on my own to hang on the fridge. It is so useful.